Dr. Bhavesh R. Bhalja received B. E. and M. E. degree in power system engineering from Birla Vishwakarma Mahavidyalaya Engineering College, Sardar Patel University, Vallabh Vidyanagar, Gujarat, India in 1999 and 2001, respectively. He obtained Ph. D. from Indian Institute of Technology Roorkee, India in 2007. He has a teaching experience of more than 14 years. 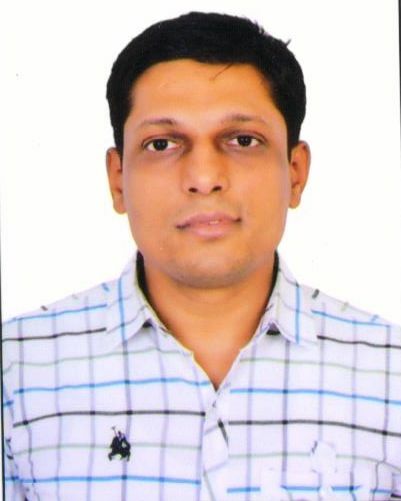 Presently, he is working as an Assistant Professor, Department of Electrical Engineering, Indian Institute of Technology Roorkee, Roorkee, India. He has published more than 100 papers in journals at international and national levels. He has been awarded Young Engineers Award by Institution of Engineers, India in 2009. He has been awarded “Certificate of Merit Award” by Institution of Engineers, India in 2007. He has been awarded “Hari-ohm Ashram Prerit Inter-University Smarak Trust Award” by Sardar Patel University, Vallabh Vidyanagar, Anand, India in 2009. One of his paper titled “Miscordination of Relay in Radial Distribution Network Containing Distributed Generation” also got Best Poster award at IEEE Conference on Recent Advances in Intelligent Computational Systems, Sep 22-24, 2011, Trivandrum, India. He has also written book on Protection and Switchgear published by Oxford University Press, New Delhi, India in 2011. He is a senior member of IEEE. His research interests include Digital Protection & Automation, Smart Grid Technologies and Applications, Distributed Generation, Micro-grid, Power Quality Improvement, and Application of Artificial Intelligence.